This list of Pilgrimage Site are the Verso Ministries Top Pilgrimage Sites in Region 1. The Regions that will be used for all of our lists are based off of the Regions used by the National Federation for Catholic Youth Ministry (NFCYM) and used for the Bishop Conferences. These resources are here for Youth Groups, Young Adults, and Individuals to be able to find local sites to go on Pilgrimage to. The National Shrine of The Divine Mercy was built by the Marian Fathers of the Immaculate Conception. This order consecrated and opened the site in 1960, almost 20 years after they initially purchased the land it sits on today. It is open to the public whether that means individuals, families, or groups. While there you can pray the Chaplet of Divine Mercy, walk through the life-size, outdoor, Stations of the Cross, and attend Daily Mass with other pilgrims. Small groups are welcome to come at any point but large groups are asked to register beforehand. A full list of prayer sites and amenities can be found on their website. And if you want to go into town, Stockbridge has a lot of fun local restaurants and some great parks to picnic in. 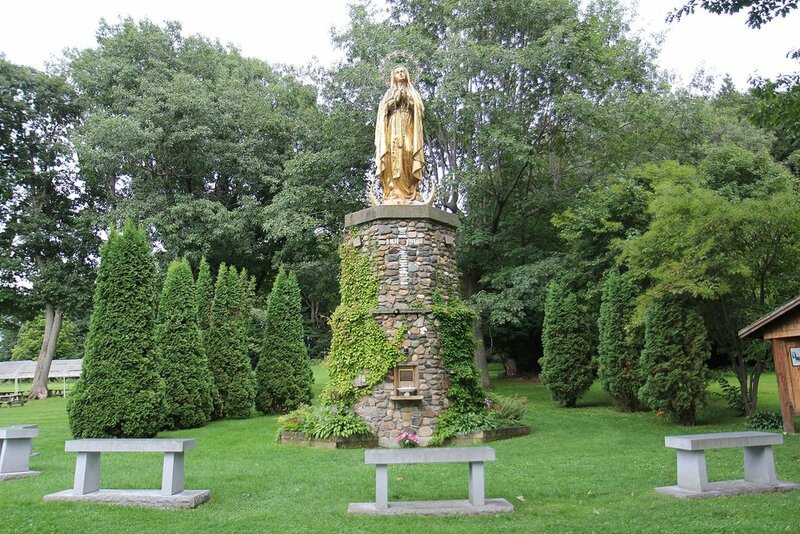 Experience a little bit of France in the heart of Connecticut at this Shrine dedicated to the veneration of Our Lady of Lourdes. It was dedicated in 1958 after being built up by the Montfort Missionaries in the area who desired to provide a place for families to practice their devotion to Mary. The Lourdes shrine and grotto in Litchfield provides a great opportunity for an individual or group to make a pilgrimage in honor of the Blessed Virgin Mary. You can go visit it any day that you want to, but if you want to bring a big group you should schedule ahead with the Shrine. Check out the website for the Mass schedule (it changes by the season) and any other of a number of events they have every week! The Shrine of Saint Anne is one of the main spiritual hubs of the Diocese of Burlington which was built in honor of the mother of the Virgin Mary, Saint Anne. The Shrine follows in the tradition of the dedication of Vermont to the patronage of Saint Anne that began with the French settlement on Isle La Motte in 1666. By 1893, the local diocese had bought the land that the Shrine is on and had built a chapel and in 1904, the Edmundite Fathers who run it today were given the task of the care and preservation of the land and all that was on it. Today this site has stations of the Cross, daily Mass, statues of Saints to venerate, and beautiful land to walk around in contemplation and prayer. Make a day trip with a youth group to have a day of prayer together or go on an overnight retreat with a young adult group to extend your pilgrimage experience. 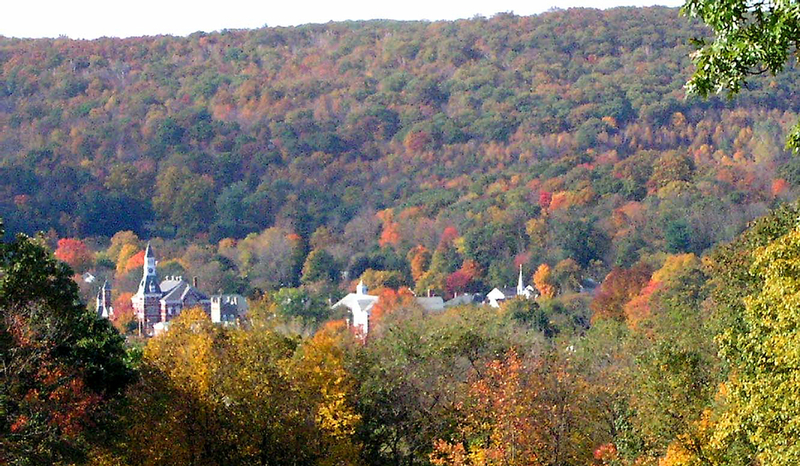 Signup as an individual for a 5 day silent retreat or an intensive weekend long retreat. Checkout their website for more information! Without a doubt, Acadia National Park is the crowning jewel of God’s glory in America. This location makes it onto our list of places for pilgrimage and spiritual adventure because nature has always been a sign of God’s love for the world and is a great way to experience the creator in a deeply spiritual manner. There are many houses that you can rent on either side of the island and a seemingly endless amount of trails for you to hike. Bring your Bible, Breviary, Journal, and anything else you might need to make this the most unique pilgrimage possible! If you are looking for Mass, visit Holy Redeemer Church at 56 Mount Desert Street, Bar Harbor (website: http://hc-catholics.org/mass-times). The Shrine of Our Lady of Salette was founded by the Missionaries of La Salette who wanted to remember the apparition of Mary in their namesake town. 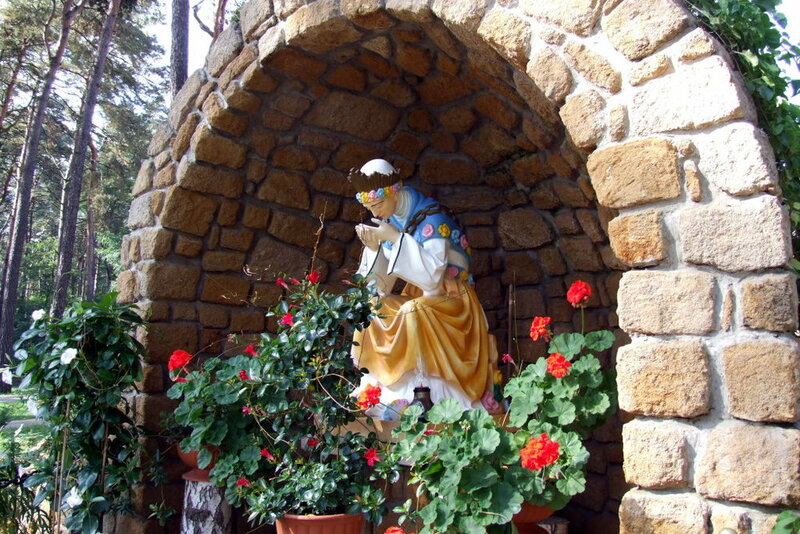 This Shrine was built in honor of that Marian apparition in La Sallete, France in which the Holy Mother visited two young children to preach respect for the Sabbath and the name of God. This apparition deeply impacted the Saints John Vianney and John Bosco who used the apparition to inspire their fruitful ministries. At this site you can practice various forms of prayer and take advantage of the Sacraments of the Eucharist and Reconciliation at the different chapels at the Shrine. With events all year round, this is a great site for youth groups, young families, and people of all ages to visit. If you can, visit the Shrine in the winter as their Christmas light show draws in people from all over!